Summer’s upon on us, and it’s time for something refreshing, with a light, citrus flavor. 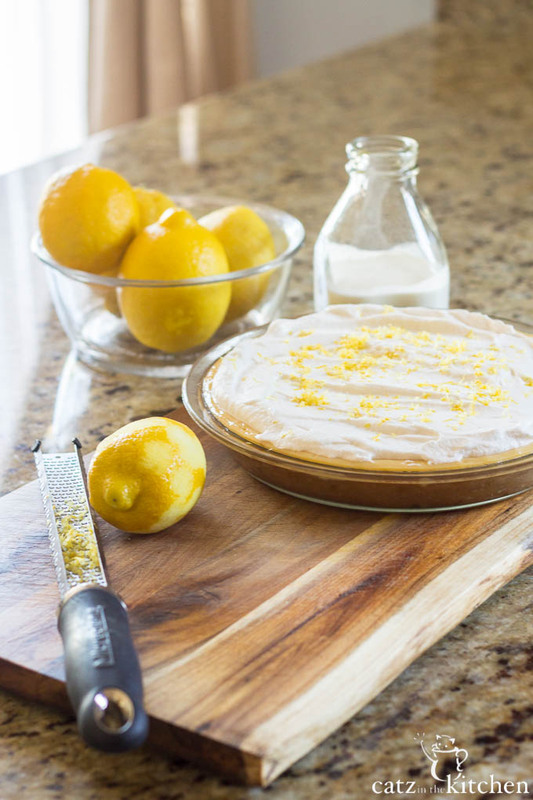 This lemon cream pie recipe is just the thing! Welcome to day 2 of our Father’s Day pie week! 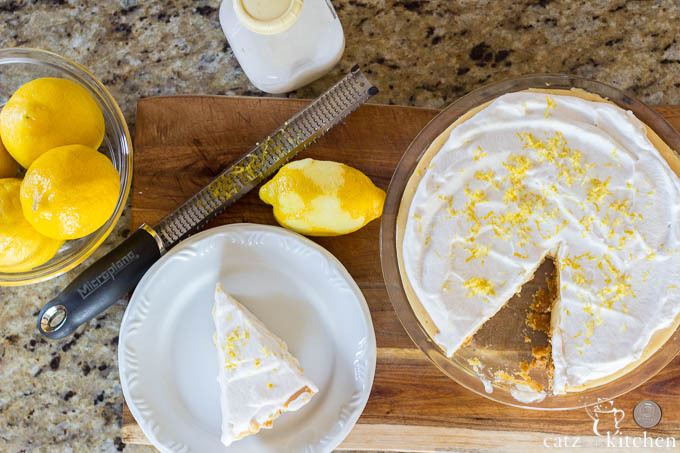 Yesterday, I shared this super indulgent old-fashioned peanut butter pie with you, and today we have a lemon cream pie. 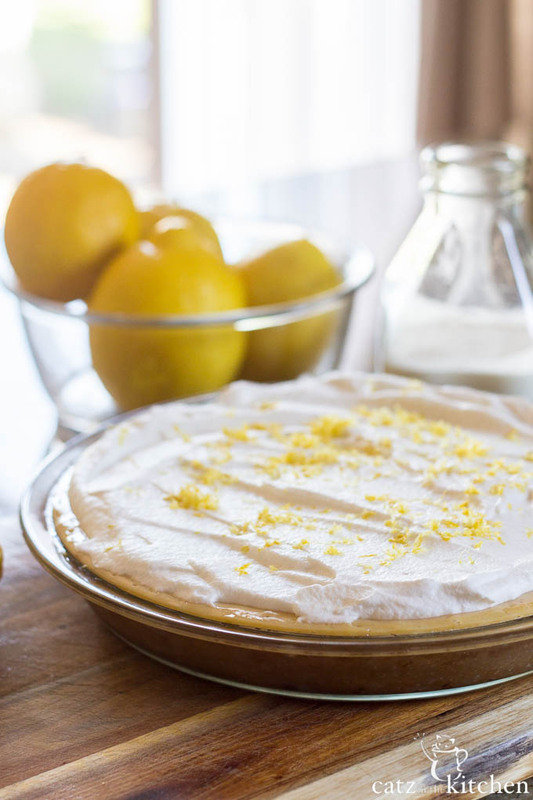 Oh yes, a lemon cream pie, and it is bright, creamy, and dreamy. I am in love with it, and I am certain you will be, too. So this pie was a dessert we made at one of my homemaking and hospitality classes and it was a hit. 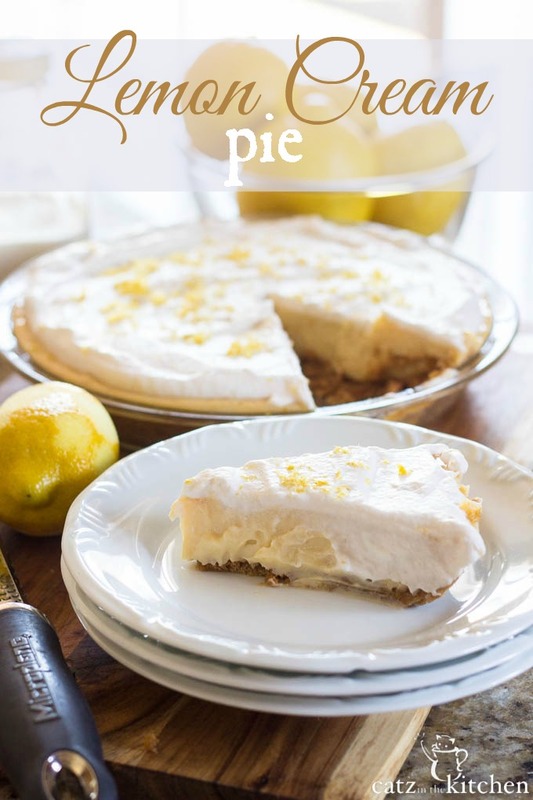 Since I had never had a lemon cream pie before I wasn’t sure how lemony it would be, because if it was too lemony I knew I wasn’t going to like it, while if was a subtle, bright flavor, I knew I would love it. And that is exactly what it is. The lemon flavor is present, but not obnoxiously so. It’s just perfect! But back up to my homemaking and hospitality class – so we made the pie, right? And it was amazing. All of us ladies were all drooling, quite literally. It was the hit of the night! Now, oddly enough there was pie leftover – I still don’t know how that was possible, but you better believe I took a slice home to my sweet hubby who was under the weather. I wasn’t entirely sure he was going to even like the pie. In the past he hasn’t ever seemed to care for a lemony dessert of any kind. And if we’re being honest, I was kind of banking on that fact…so I could eat the slice. I even prefaced beforehand to him that I was quite sure he wouldn’t like it, but that it was okay, because I would eat it. But, SURPRISE! He liked it, in fact, he loved it! I’ve made this pie three times now and he can’t get enough of it – him and the rest of my family. So it seems only fitting to add it to our Father’s Day pie week because it was such a hit. And did I mention it is super easy? I love easy, breezy pies! Summer's upon on us, and it's time for something refreshing, with a light, citrus flavor. 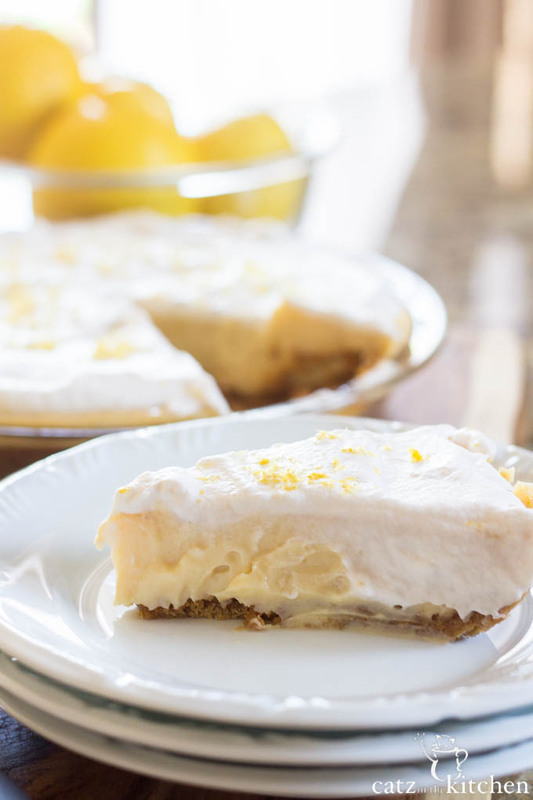 This lemon cream pie recipe is just the thing! Prepare pie crust recipe as directed. Bake and and cool while you prepare the filling. In a large bowl, whisk sweetened condensed milk, lemon juice, and egg yolks until combined. Pour filling into the warm pie crust and bake for 15 minutes. Let cool completely. Chill for 4 hours, but overnight is best. 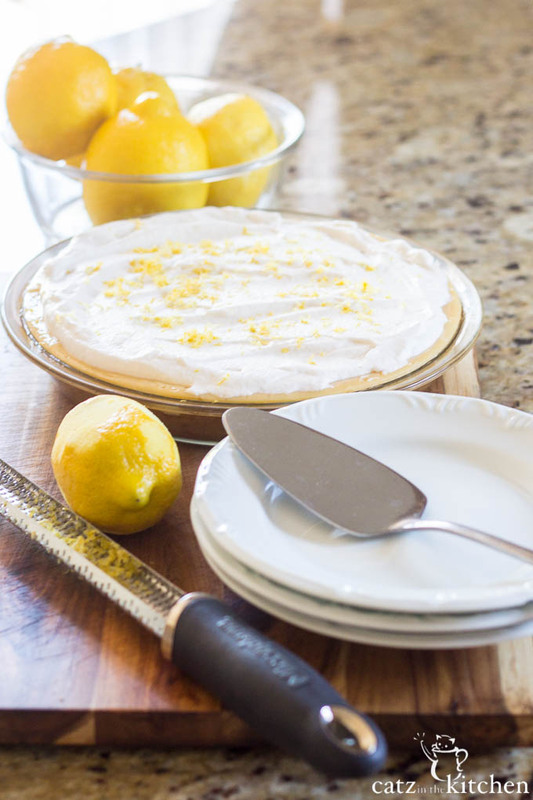 Top with homemade whipped cream and fresh lemon zest. You're so right, Yvonne! Fixing now. It should be 350 degrees. Enjoy! Let me know if you have anymore questions, and thanks! I'm glad you were able to find the temp. I'm so sorry about that. How did the pie turn out?